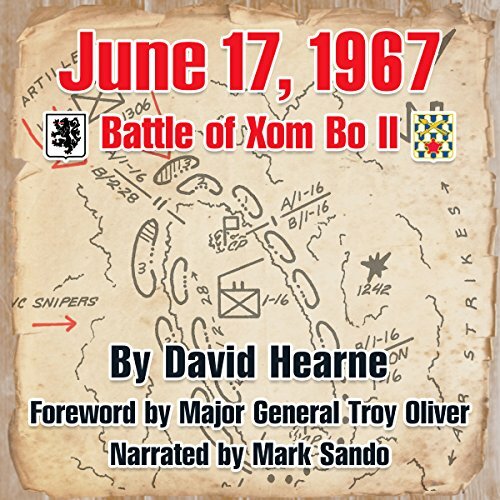 Showing results by author "David J. Hearne"
The true story of the battle of Xom Bo II that was fought on June 17, 1967. It was a battle that pitted 500 1st Infantry Division soldiers against 800 to 2000 Viet Cong from the 271st Regiment. The bloody clash took the lives of 39 Americans and seriously wounded 150 more. It is the minute-by-minute story of what happened that day in the steamy jungle and the story of the men who fought so valiantly to survive the ambush. Great tribute to the men who fought!